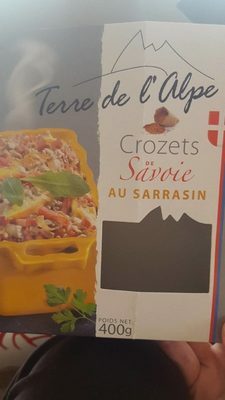 Farine de blé tendre 75 %, farine de sarrasin 20 %, œufs %, eau. Product added on February 20, 2018 at 4:34:32 PM CET by kiliweb. Last edit of product page on April 7, 2019 at 9:54:33 AM CEST by youplaboum. Product page also edited by beniben, openfoodfacts-contributors, tacite-mass-editor.